Utility One Source (Custom Truck & Equipment) is expanding its new crane inventory in Kansas City, Kansas, with an order for five new Terex BT 4792 boom trucks, five Terex Crossover 8000 boom trucks and four Terex HC 80 lattice boom crawler cranes. The new units will help Utility One Source continue to deliver on its customer commitment to provide quality equipment that produces a high return-on-investment. With a recovering construction economy, there is demand for versatile cranes that are easy to transport, rig and operate, and the Terex BT 4792 and Terex Crossover 8000 boom truck have been designed with those customer needs in mind. The 23.5-US ton (21.3-tonne) Terex BT 4792 boom truck has a 92-ft (28 m) maximum boom length and includes a quick reeving boom head, as well as an electronic rated capacity indicator. The larger, more powerful Terex Crossover 8000 boom truck has an 80-US ton (72.5-tonne) maximum lifting capacity, comes with a 126-ft (38.4-m) fully synchronous telescopic boom and features X-pattern front outriggers designed to eliminate front jack requirements. The Terex HC 80 lattice boom crawler crane provides versatility for heavy lifting and high reach projects. It has a nominal capacity of 80-US tons (72 tonnes), a 200-ft (60.96-m) maximum main boom length and can be expanded to 240 ft (73.15 m) with luffing jib. 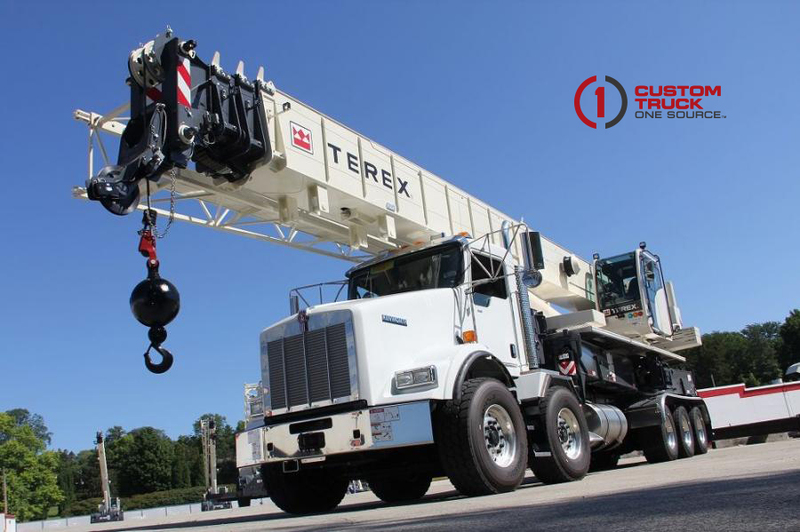 The new Terex boom trucks and crawler cranes will be available later this year at Utility One Source’s Kansas City location.